Actiu Technological Park has had a mention in the 1st Construye Award which recognize the best Industrial Architecture Works in Spain in the last year. 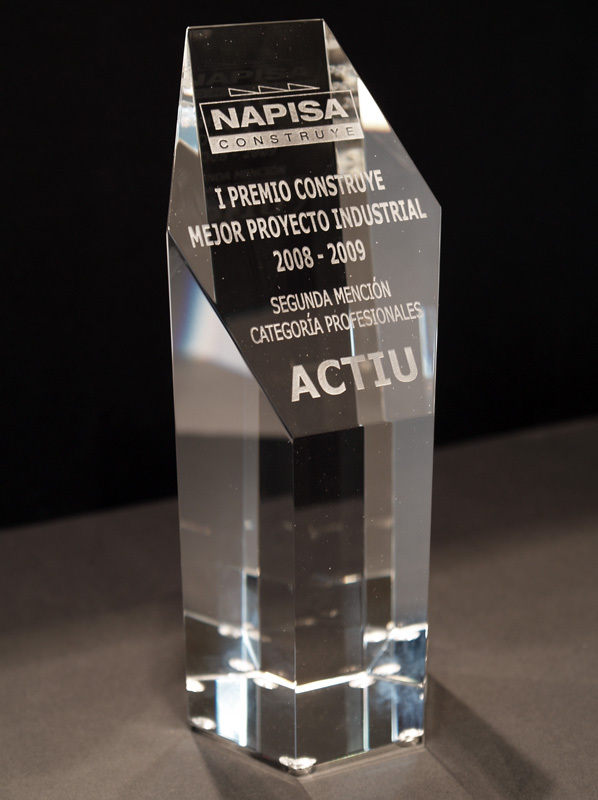 This project, designed by José María Tomás Llavador Studio and developed by Actiu, has recently received the X FOPA Award to the "Building Work of the year" in Alicante county. The 1st Construye Award organized by NAPISA and School of Architects of Madrid is referenced by the Official School of Architects, whose dean, Paloma Sobrini has been the president of the Jury. 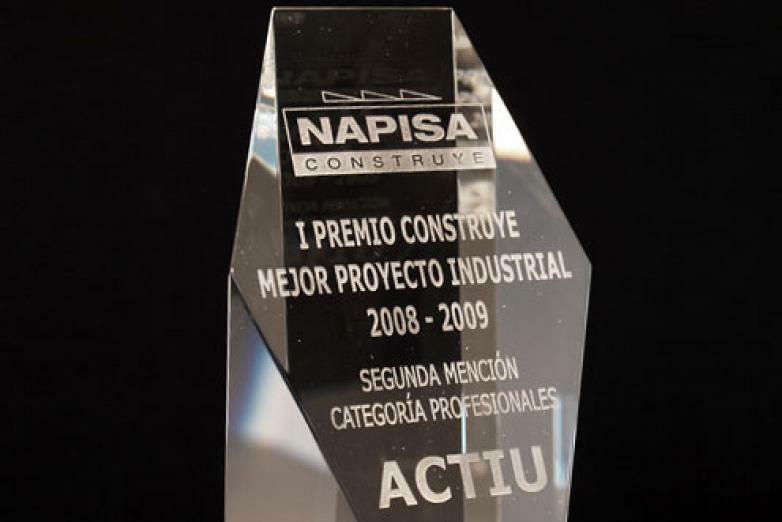 The contest distinguish two different categories; projects developed by architecture students and projects developed by professionals. 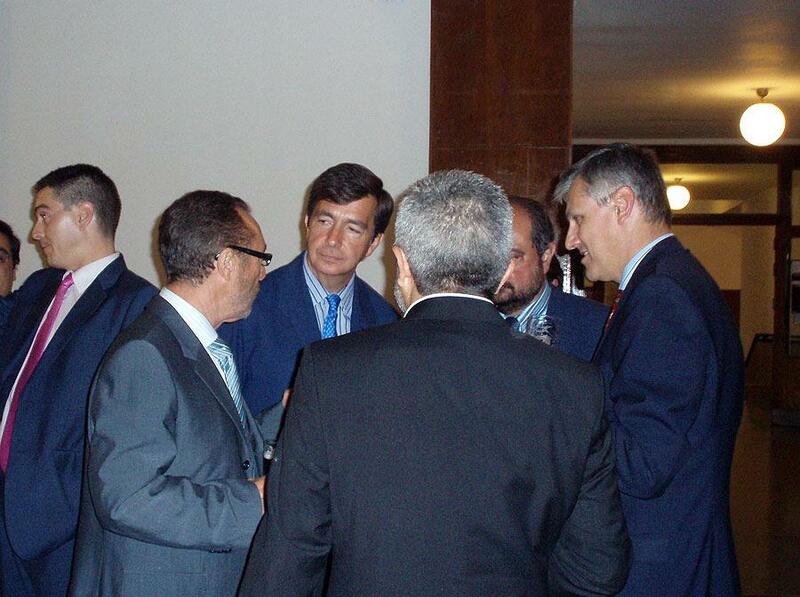 The initiative is good for the relationship between the University World and the Industrial one. 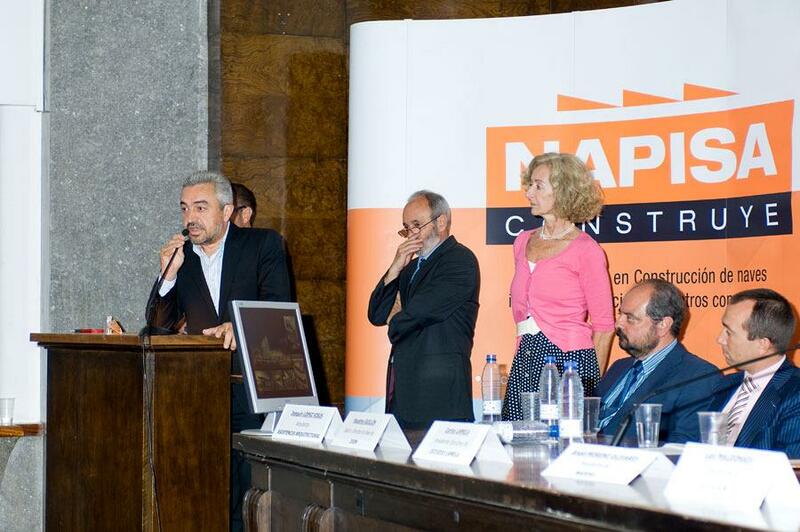 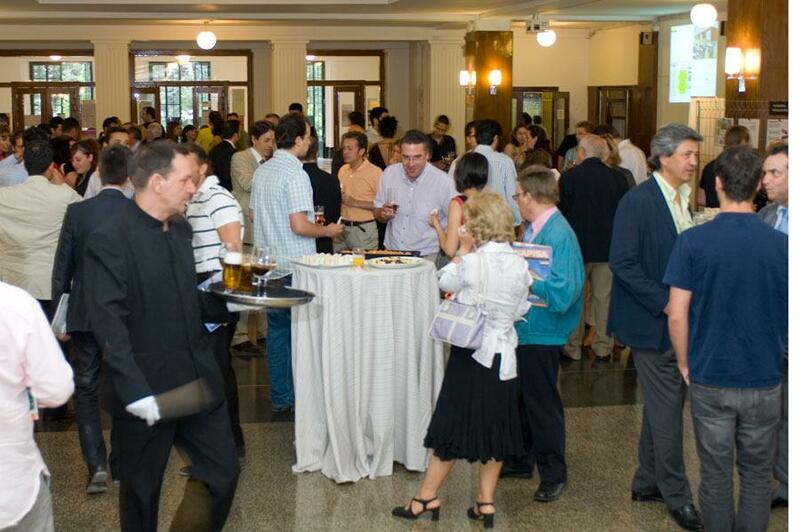 The presentation of the awards, presided over Luis Maldonado, director of the Architecture School in Madrid, took placed last Thursday 4th of June in the auditorium of this institution. 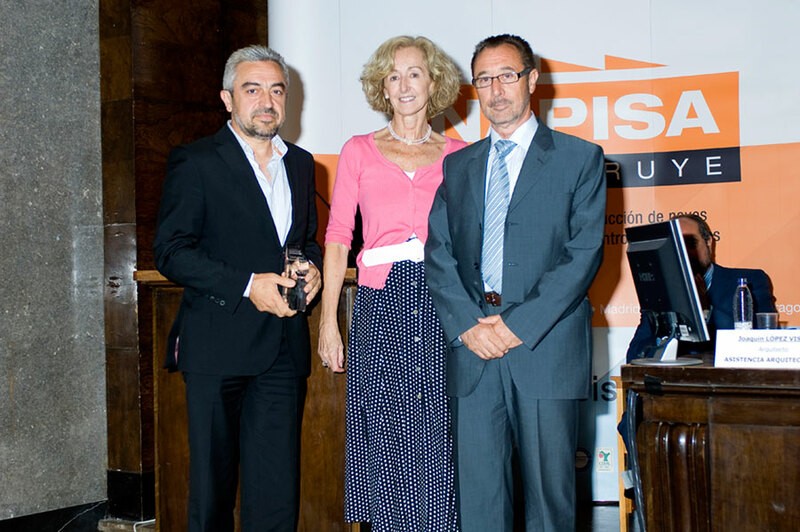 José María Tomás, the architect and president of TJMª Architects and Engineers, and Vicente Berbegal, Actiu group President collected the award.